We love the repeating pattern of this bold geometric design. The texture from the woodblock printing process and the retro vibe combined with the stylish contemporary base and colour palette make for a striking piece for your home. Fabric shade with blue and white woodblock design on a tall natural and white wood pillar. 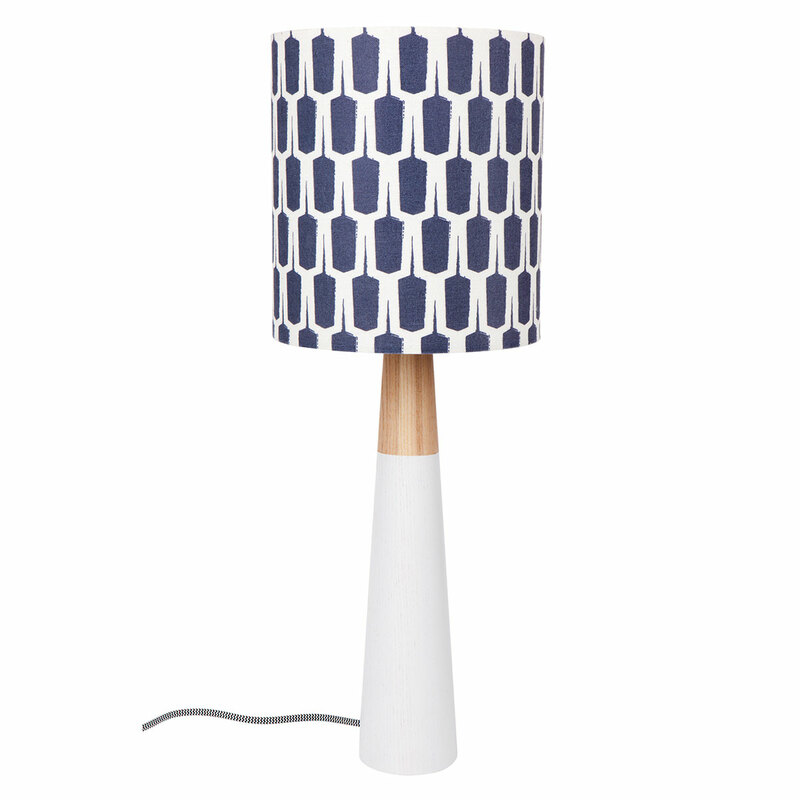 * Woodblock Fabric Table Lamp ships as a large parcel and does not qualify for FREE SHIPPING offers.